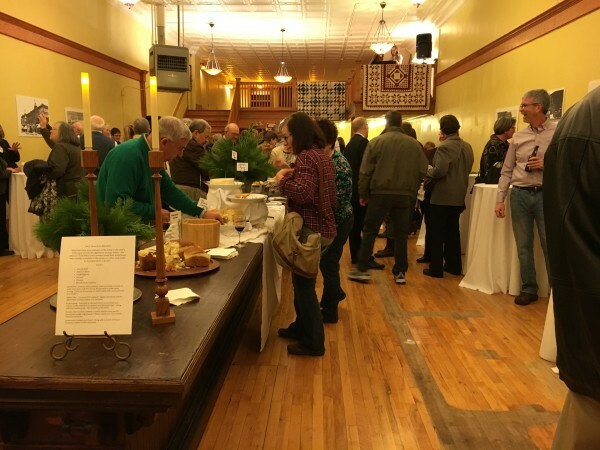 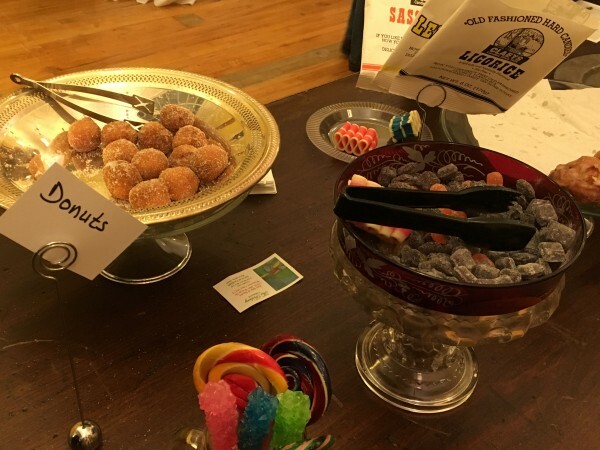 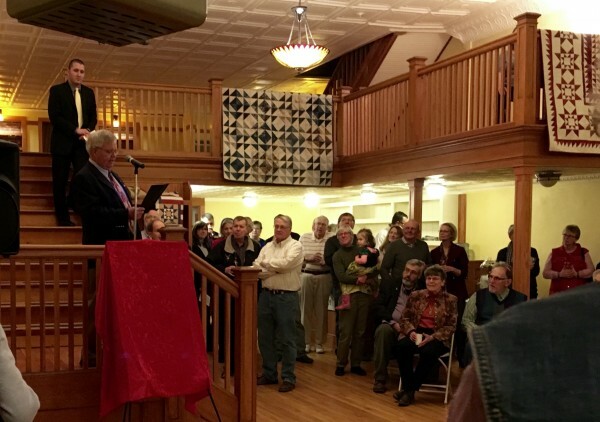 The event was held Friday evening, January 29, 2016 at the future home of the Iowa Quilt Museum (68 East Court Avenue) with complimentary hors d’oeuvres and beverages. 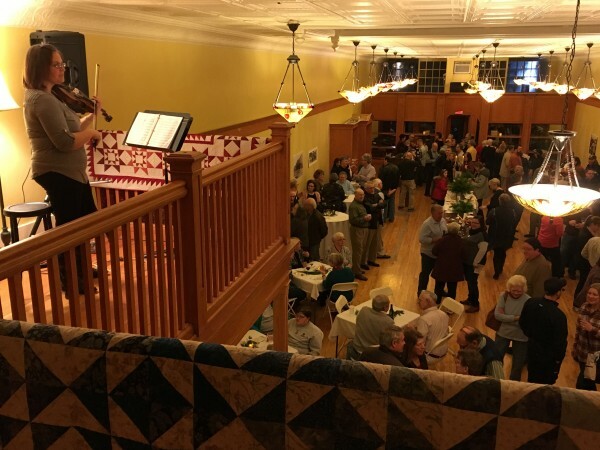 The air was filled with energetic conversation and the lilting violin of Christine Gardner. 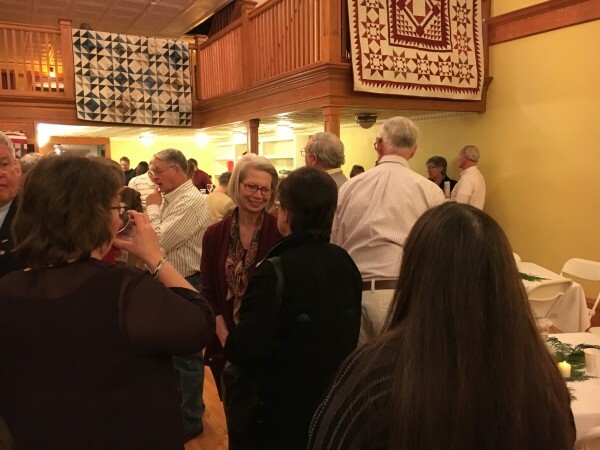 Attendees heard several brief presentations about the National Historic Register designation and what it means to property owners, local business people and Madison County residents. 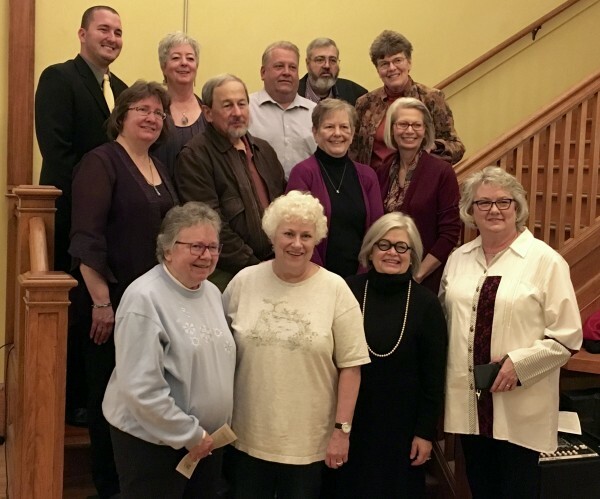 Those congregated celebrated this four year labor of love that was accomplished through the efforts of many local volunteers, the skillful leadership of consultant, Leah D. Rogers, and the State Historical Preservation Office, and funding through grants and public/private dollars. 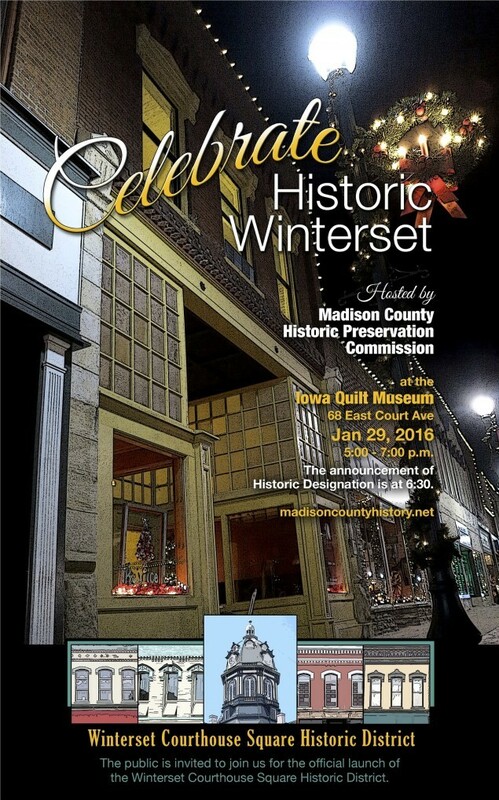 The walls contained poster-sized photos of the Courthouse Square District throughout history, just a sample of those provided to the project from the collections of the Allen Family and the Madison County Historical Museum. 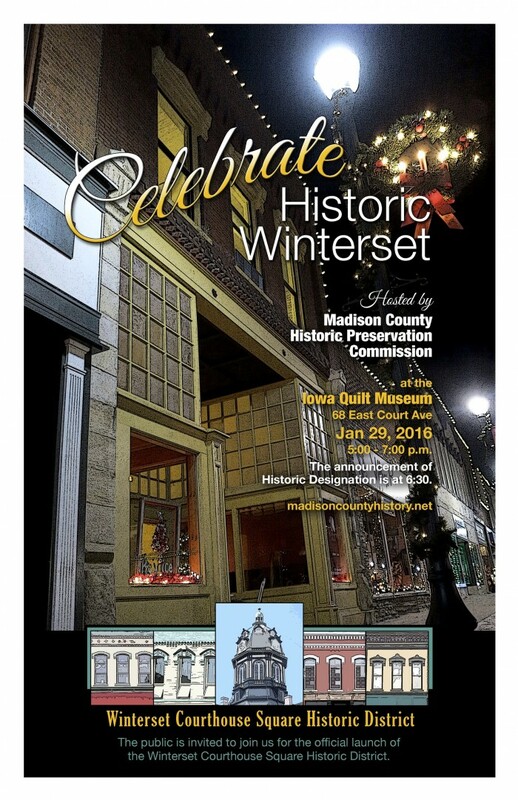 This event was sponsored by the Madison County Historic Preservation Commission in partnership with Madison County, the City of Winterset, and the Madison County Historical Society. 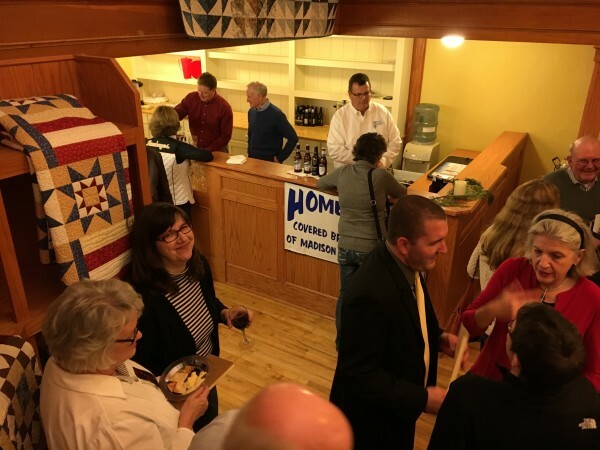 We also received the generous support of these groups: National Park Service, Iowa Quilt Museum Board of Directors, Madison County Economic Development Group, Madison County Chamber of Commerce, Covered Bridge Winery, Hy-Vee, and White Lions Bed & Breakfast. 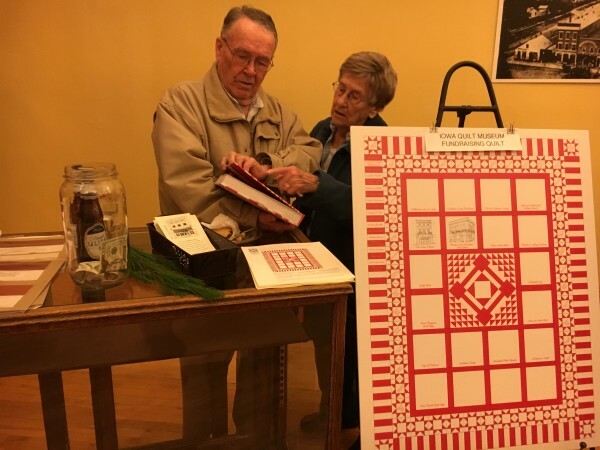 Congratulations to the Celebrate Historic Winterset Planning Committee (Molly Clause-chairperson, Jim Olson, Jared McDonald, Jerry Parkin, Kayla Hawkins, and Brenda Hollingsworth) for providing a magical evening.